When Walmart first began to move into suburbs across the United States - and the world, eventually - the neighborhood convenience stores, pharmacies, and general stores struggled to compete. It was difficult; Walmart had a lock on low prices due to deep supplier discounts that it was able to negotiate. The Walmart stores were also able to operate at close to cost on much of their merchandise, drawing in customers who had families to support on a limited budget. Did these shoppers want local businesses to go bankrupt? No; but they were faced with a tough choice; pay much more to support the local economy, or purchase the necessities required for their family. Convenience and low prices are always at war with each other, but when the two move in concert, it is a combination to behold in the business world. Entire industries can crumble or be created with the meeting of these two characteristics of goods or services. The new trend is mobile applications. For those that thought the Internet itself was revolutionary for bringing goods and services into the home, things became even easier with the advent of mobile applications. 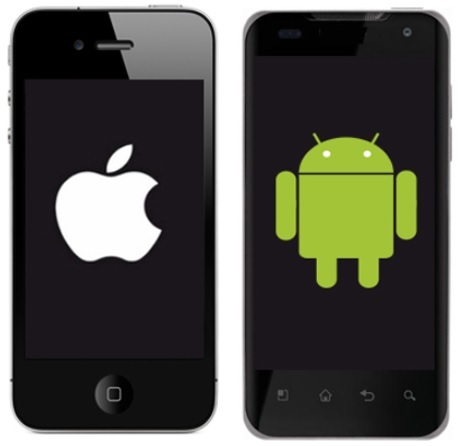 Much of the popularity of these applications can be attributed to the standardization of the two most popular operating systems on mobile platforms, and the fact that application developers can quickly deploy programs on either one. Have you used each of these payment methods? They are now ubiquitous, and are found almost anywhere that you need to interact with a cashier. The usage of mobile technology for payments was inevitable, as mobile phones have become an integral part of our lives. One study from Deloitte2 found that the average user looks at their phone 47 times per day. That number seems correct to me, and it's probably less than how many times I look at mine. The same article indicated that 89% of people looked at their phones within an hour of waking up, and 81% looked at their phones within an hour of going to sleep. The answer to their survey was unquestionably pointing towards a flavor of mobile technology use: "Account-to-account transfer." This can be equated to P2P (peer-to-peer) or B2P (business-to-person). This is a trend that has not been lost on new fintech companies, and the idea behind facilitating real-time payments is creating a dizzying array of new startups both in the U.S. and internationally. My tendency is to consider apps that promise to help me use my time more efficiently. For bloggers on the go, using search engines, Google maps (constantly), and personal organizers are a must. In addition, almost any activity that you can imagine has been transformed into a downloadable app. 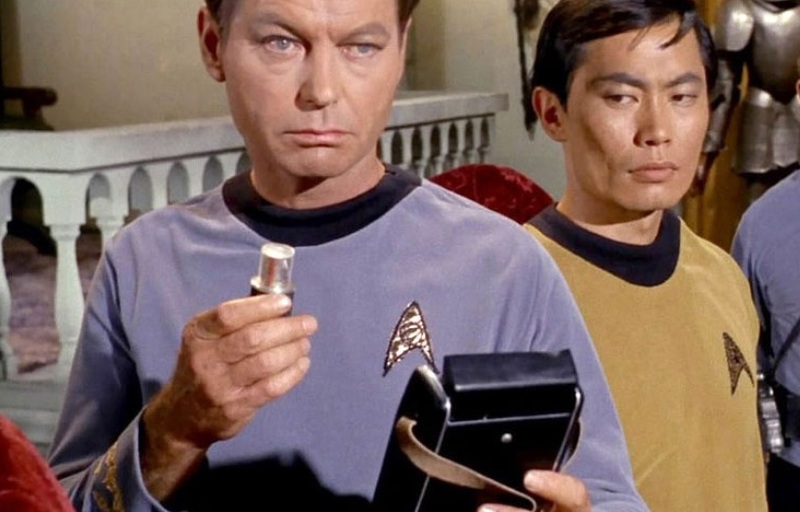 Remember the tricorder from Star Trek? It was an all-purpose sensor that could be used to detect environmental factors and then report them in an easy-to-interpret manner for the user. It was science fiction, but even so, the authors' imaginations did not foresee the massive cross-utility that mobile applications can bring. You need a metal detector? Download an app. Do you want to identify a song that's playing on the radio so you can purchase it later from an online store? Shazam is what you need. Maybe you want to meet that someone special that you've been searching for? Download a dating app of your choice. 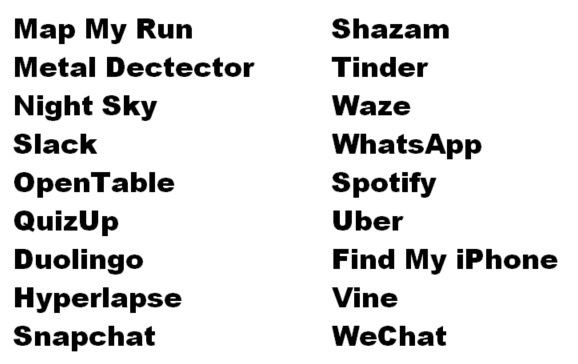 Even now, it may seem like the entire app space has been inundated with all possible apps that could ever be created; but you're wrong - there will be more, and there will be apps that 'go viral' just like there have been in the past. 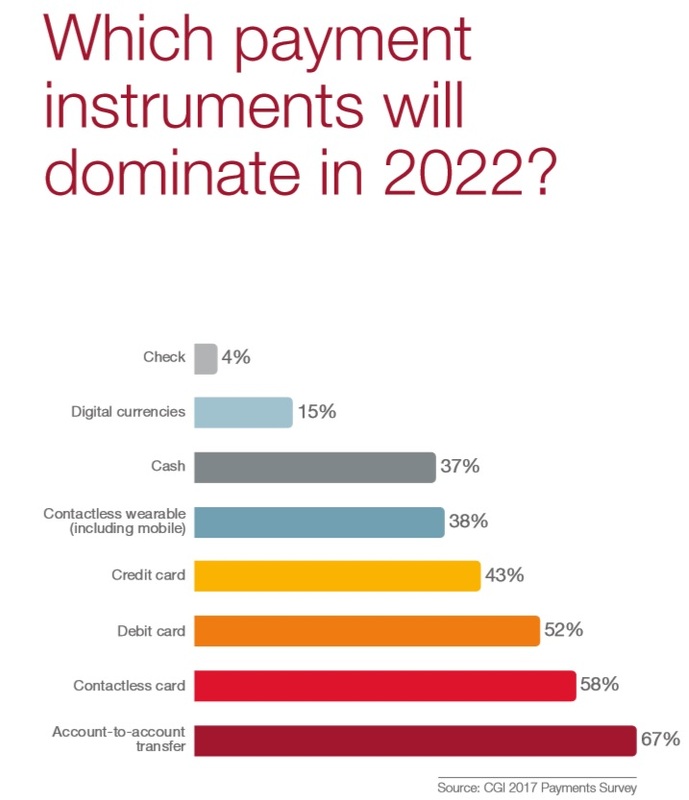 When it comes to payments, I personally did not foresee the ability to 'swipe' a phone close to a reader at checkout and have a payment app be able to automatically complete the transaction. However, that's exactly what's developed, among other things. The overall trend of mobile payments and mobile applications is unmistakable, and one country is leading the way for mass adoption: China. The crypto space is experiencing its own impact from the mobile trend, and it's taking the form of apps that support mobile trading and portfolio management - as well as wallets to store coins. There have been several popular XRP wallets created by companies recently, and I've included references to these in prior blogs; new ones are being created as we move forward into 2018. For now, however, let's take a look at some of the choices that have become available for trading XRP, and for making payments using applications built on Interledger or the XRP Ledger. Imagine this: You are online with a fellow XRP fan, and they happen to own one of the original gold coins that were minted as part of the 2017 XRP promotion on XRP Chat. You really want that gold coin. The other person is from Japan, and is willing to sell the gold coin to you... for 200,000 Japanese Yen. You both agree that you will send payment up front. You pull out your mobile phone and bring up the Ripple Payment app and zap the QR code that he sent you. At that moment, $1,900 is drawn from your checking account and then is transformed into Japanese Yen using XRP. On the other end, the Japanese seller checks and confirms that 200,000 Japanese Yen were just deposited in his account. How close are we to seeing this become a reality? Note that MoneyTap promises to simplify and supercharge domestic payments within Japan, as over sixty of the biggest Japanese banks have collaborated in the effort. GCash inked a deal with MoneyGram, and MoneyGram is currently piloting xRapid for money transfer. Santander has also built their own app, and is piloting it in select markets. 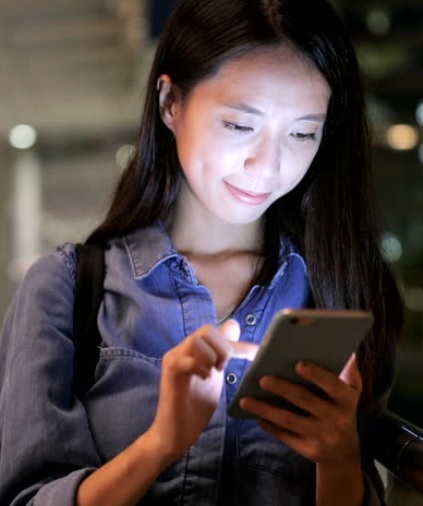 Anticipating the adoption rates for these payment apps is tricky, but if China's full adoption of payment apps is any indication, these mobile applications have the potential to bring demand for XRP to new levels. Trading in digital assets is one of the fastest-growing industries in the world at present. Our industry is very small compared to almost any measure in the mainstream financial world; while ForEx trades trillions of dollars worth of currency every day, the volume of the crypto markets is measured at much less than $50 billion. This evidence of crypto's current small size, along with increasing global interest in digital assets, has motivated many businesses to enter the market as new exchanges. For those businesses that possess the technical know-how, creating an easy-to-use trading application is the next logical step; that way they can capitalize on two trends at once: digital asset trading, and mobile applications. It's a profitable match if the business can manage the inundation of new customers. Ripple has positively received the news about most of these, as they promise to add significant new liquidity to the network, along with something even better; more fiat-XRP pairings for foreign currency. As liquidity increases for some of these corridors organically, banks, businesses and other organizations can confidently utilize exchanges for transferring value to these new fiat currency choices. It's a nice combination for Ripple and for XRP investors. One of my goals is to create and publish a comparison of these app-based exchanges and measure them against standardized features and capabilities, along with determining which one most directly supports the goals of achieving better liquidity for XRP. The crypto markets don't sleep, and it seems like the pace of developments for the digital asset space - and XRP - are moving at a pace that is an order of magnitude higher than in 2017. Ripple and XRP, I believe, have passed the tipping point for technology adoption, and the hard work of assisting with integrations, managing customer contracts, and other day-to-day operations is happening every day. In my last blog, I noted that an ICO is being held on the XRP Ledger. While I won't comment about the specific ICO, it brought up the general question of whether or not ICOs are beneficial for the XRP Ledger, and specifically for XRP volume. While I believe that ICO's could definitely benefit overall volume on the XRP Ledger, they do bring their own baggage with them, including increased regulatory scrutiny. The example to look for when thinking about ICOs and their overall liquidity effect is Ethereum. While the price of Ethereum (discounting the early 2018 crypto downturn) has historically benefited from hosting ICOs, they have created a fair amount of negative publicity at points - and sometimes uneducated readers or listeners may believe that this negatively reflects on Ethereum. 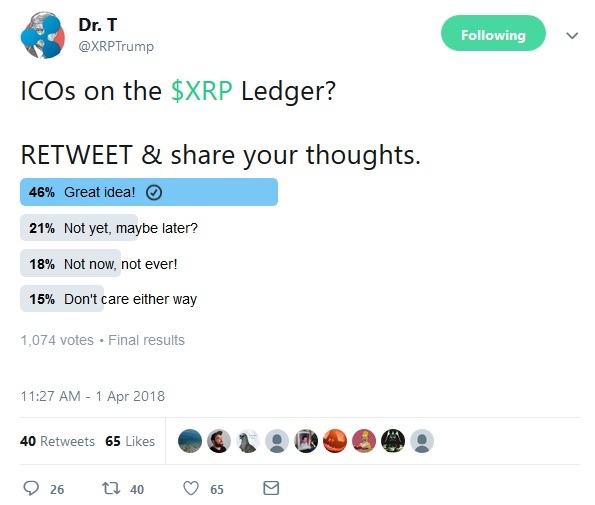 Beyond just the surface opinion of XRP fans that voted, the Twitter thread also contains some valuable perspectives on the matter: It's definitely worth a read. 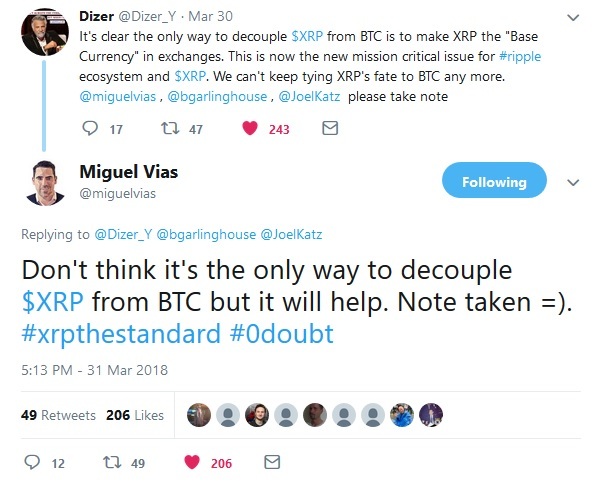 Miguel is acknowledging that exchange pairings do have an effect on liquidity - and he & Dizer are correct; have you ever wondered where the incredible volume is coming from on CMC for Bitcoin trading? New exchanges are focusing on making XRP one of the primary ways to move value into and out of fiat currency. When a new crypto investor first tries to transfer their money into the crypto world, one of their first questions is "how does this work?" to which we all normally reply with a set of convoluted instructions. These instructions previously (normally) included a step where the person has to transfer money from their bank account to an exchange that only has Bitcoin as the primary option. This job posting is a symptom of Ripple's growth; it's great to see positions created for specific business goals that may directly & positively influence liquidity within the XRP ecosystem. The Bank of Thailand decided to host its first ever "Bangkok Fintech Fair" in 2018, from March 19th to March 20th at the Bank of Thailand's Learning Center in Phra Nakhon, Bangkok. During the fair, a panel discussion was held where Sagar Sarbhai, Ripple's Head of Government & Regulatory Relations for APAC & Middle East, participated. The discussion covered a wide range of topics that intersected with cross-border value transfer. "we (actually) work very closely with about 40-50 central banks." Because the number was so large, I'm assuming that he is including those banks that are potential customers that Ripple may be assisting. From what we know, there are two central banks that are currently official customers, but I would point out that sometimes Ripple is cautious about revealing details about their existing or pending business relationships. Whatever, the explanation, it was an exciting revelation. David Schwartz, Ripple's Chief Cryptographer, has been touring Asia recently and jet-setting to a variety of countries and conferences in the region, including a popular one known as "Slush." This particular Slush conference was held in Tokyo, and one of the discussions involved a joint interview of Stefan Thomas and David Schwartz. David Schwartz pointed out that one of the biggest faults of Bitcoin was inadequate governance, which created inertia; Bitcoin is not able to respond quickly to new opportunities or threats. Stefan Thomas talked about how some banking island applications and services choose to charge high fees because they develop a monopolistic advantage once they achieved a high level of adoption. Both focused on Interledger and its ability to enable the existence of many different ledgers; ILP allows them to communicate with each other. David Schwartz emphasized that the next series of changes in the protocol have to do with supporting further decentralization. Stefan Thomas indicated that XRP's road map may not be exciting, but it is to "keep being the only digital asset that's cheap, reliable, and fast to transfer twenty-four by seven..."
Question: "Could you tell us about your hiring requirements? What kind of people are you trying to recruit and what kind of skill sets are you looking for?" Question: "From your perspective, do you see a reason why Japan hasn't got a winning payment system, and do you have any thoughts about what could be different about this market than the other markets that you've looked at? Answer: (Stefan Thomas) "...from what I understand, it's a very cash-driven culture... the domestic settlement system... are not... efficient and well-suited for retail payments.... We've recently taken a first step towards that with an app called MoneyTap. So this is an app that's been released by the Japanese Banking Consortium - over sixty banks here in Japan - that is adopting Ripple technology.... With MoneyTap, you can put in a phone number, or you can scan a QR code, and it automatically figures out all the right bank details." @BankXRP noted on Twitter that Ripple is planning to attend the Global Money Transfer Summit taking place in Dubai, United Arab Emirates from April 29 - 30 this month. Navin Gupta, Ripple's Managing Director for South Asia & MENA (Middle East and North Africa), is slated to attend and speak at the conference along with other industry experts and leaders. 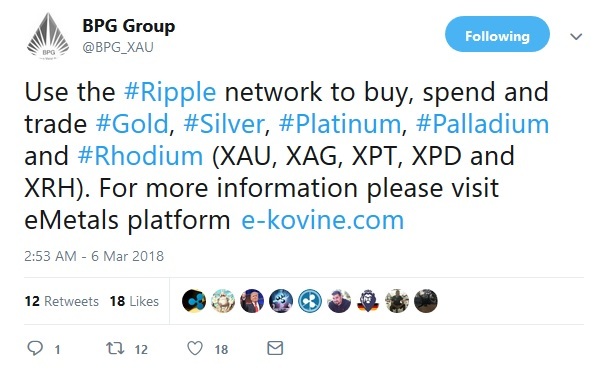 Ripple is doing it right - they are not distracted, and they are not "spreading the peanut butter too thinly" by trying to do too many things. This has been emphasized consistently by Brad Garlinghouse, and recently by Stefan Thomas at Slush Tokyo. In fact, Stefan Thomas's comment about XRP continuing to be the best digital asset at transferring value quickly and cheaply dovetailed with a separate comment by David Schwartz about how ILP enables all ledgers to compete on an even playing field, using open standards. In the end, XRP will be used because it saves money for businesses. These cost savings are drawn into sharp relief when making comparisons to the current legacy SWIFT messaging system, and will continue to be documented as various xRapid pilots report in about their concrete results serving a variety of corridors and markets. Convenience, low cost, and real-time speed are all combining to create the perfect combination for XRP's use as a primary global bridge currency. From the time I first started writing about XRP and Ripple, one of my to-do items was to consolidate the main news stories into a timeline of sorts, to form a well-rounded history.